YourTV is a new free-to-air channel from Fox, broadcasting on terrestrial and satellite services to the UK, and via satellite to Ireland. Programme highlights include Don’t Tell The Bride, explosive true-life crime series Snapped: Killer Couples, and hit international legal drama, Shark. Baking fans may like Baking Good, Baking Bad. It's a new "female-skewed" lifestyle and reality channel, aimed at more mature audiences. 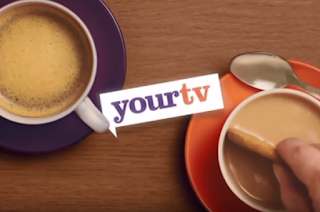 YourTV is the first ever free-to-air channel from Fox to be broadcast in the UK and Ireland. YourTV's launch schedule includes a helping of BBC Three's Don't Tell The Bride at 6pm, US factual reality show Killer Couples follows at 7pm, Corrupt Crimes is at 8pm and legal drama Shark takes the 9pm slot. Daytime programmes include Cruise Ship Diaries at 9am and Baking Good, Baking Bad at midday. Where can I find YourTV? Is there a +1 service? Technically yes, but not of any use to anyone. On Freeview and YouView, YourTV+1 is available on channel 78, but it's only on air from 3am to 4am and the likely purpose of such a service is for Fox to secure a channel number on Freeview for any future expansion. There's no +1 on satellite. Is the channel available in HD? What if I can't find the channel on Freeview? YourTV is broadcast on the same frequency as Sky News (channel 132), so if you can get Sky News, you should be able to watch YourTV. I have a free-to-air satellite receiver. Where do I find YourTV? Picture quality is a shambles, just wow!